Business meals and entertainment – are they still deductible? Yes and no. The Tax Cuts and Jobs Act (TCJA), which generally kicked in starting with 2018, made significant changes to the deductibility of business meals and entertainment. This is where the most significant changes occurred. Entertainment expenses directly related to the conduct of an active trade or business were formerly deductible at 50%. This was true of expenses classified as entertainment, recreation, and amusement, as well as facilities used in connection with these. Although the Act changed the treatment of entertainment expenses, it did not change the definition of entertainment. “Entertainment” is any activity generally considered to be entertainment, amusement, or recreation. As you might imagine, this term can be construed in a variety of ways. The term “entertainment” includes entertaining at nightclubs, cocktail lounges, theaters, country clubs, golf, and athletic clubs, sporting events, on hunting, fishing, vacation, and similar trips, on yachts, and at social gatherings at a home. The IRS uses an objective test to determine whether an activity is entertainment. So if an activity is generally considered to be entertainment, the IRS will treat it as such. Starting in 2018, with few exceptions, such expenses are no longer deductible. Exceptions include costs reimbursed by another person, costs incurred primarily for the benefit of employees (other than those that are “highly compensated” – i.e. generally management and owners) and costs incurred for meetings of employees, stockholders or directors. If these exceptions are met, the entertainment costs are 50% deductible. Business meetings with a vendor, contractor, customer, consultant or similar business contact are still 50% deductible. As before, the expense must be an ordinary and necessary business expense, it cannot be lavish or extravagant under the circumstances and the taxpayer (or an employee of the taxpayer) must be present. Expenses incurred for employee, stockholder or director meetings are still 50% deductible. The cost of food and beverages at company-wide events where all employees are invited remain 100% deductible. This applies to events such as a Christmas party or company picnic. It’s also possible for entertainment at such a function to be 100% deductible. Snacks and drinks provided for employees or customers were formerly 100% deductible. These costs are now only 50% deductible. Meals that met the “for the convenience of the employer” standard are no longer 100% deductible; now only 50% of these costs are deductible. Meals incurred during business travel are still 50% deductible. If charges for meals are incurred in conjunction with entertainment activities (e.g. 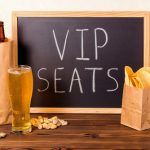 you take a client to a baseball game, reserve a suite that includes food and drinks), the meals are only 50% deductible if they are charged separately from the entertainment. If the meal charges are not separated but are lumped in with the entertainment cost, they are generally not deductible. Considering the changes and the fact that items could be fully deductible, 50% deductible or not deductible, it’s important to capture these expenses separately on the company’s books and records. The rules surrounding the deduction of meals and entertainment expenses are rather complex and require consideration of the underlying facts and circumstances. Johnson Price Sprinkle PA is a 60+ year old accounting firm providing small to middle market businesses with tax, business consulting, audit, fraud, and technology solution services. With offices in Asheville, Boone, and Marion, NC, our CPAs and JPS team strive to provide personal service alongside technical expertise resulting in our clients’ long-term financial success. We also invest time and energy in our community, taking pride in doing what we can to make Western North Carolina a better place. JPS Mission: To Be Greater by positively impacting our Clients, People, Community and Profession.